Will this be a WTF moments? 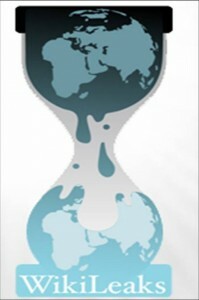 CIA today setup a Wikileaks Task Force (WTF) to watch, study and learn the operations of Wikileaks. This also includes CIA closely monitoring its traffic flow to the ISP that hosts the Wikileak’s servers. According to the Washington Post, the CIA came out of the Wikileaks leak with minimal exposure. CIA is still secretive over its entire task force operations but it is now clear that it was re-working file sharing capabilities that let to Army private Bradley Manning to allegedly put hundreds of thousands of State Department cables on a Lady Gaga CD. Some of the speculated operations that the WTF task force would undertake is to moniter and packet sniff all data that goes to the Wikileaks servers. It is also said that CIA would use back door entry into encryption algorithms to carve out information that is being sent back and forth between Wikileaks and a potential leaker. Wikileaks DDoS’ed again, Amazon to the Rescue! Dark Side of Technology – Wikileaks Whistleblower to be Executed? Now Europeans can Force Facebook to Give Back their Data! Previous 12 Million Users Still Can’t connect to Skype!